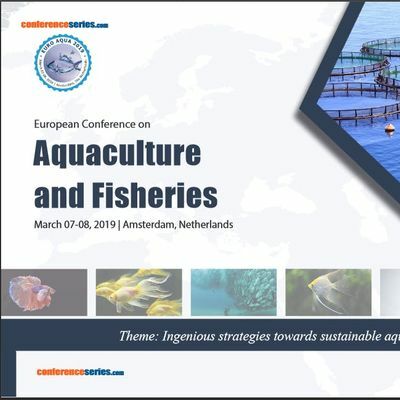 About ConferenceEuro Aqua 2019 is delighted to welcome the participants from all over the globe to attend the “European Conference on Aquaculture and Fisheries” scheduled during March 07-08, 2019 in Amsterdam, The Netherlands. The conference provides a global arena for researchers and international scholars to present their findings. 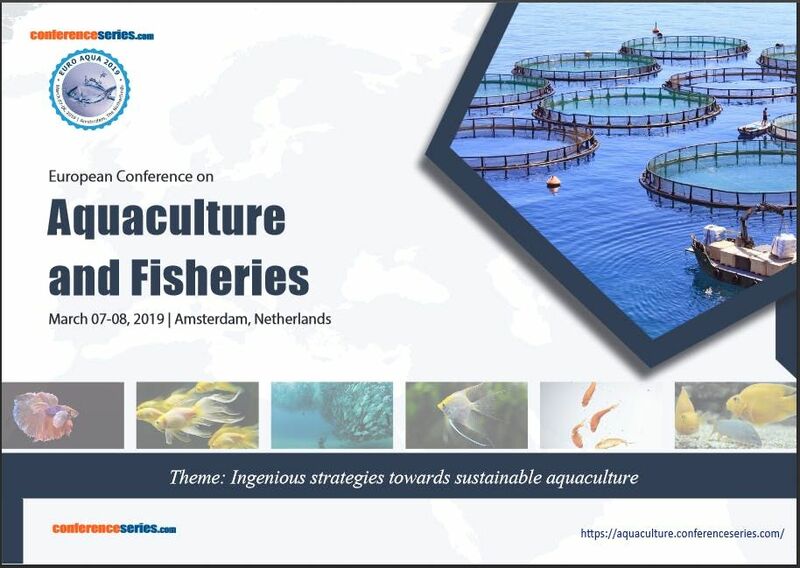 Euroaqua 2019 is providing an opportunity for the aquaculture and fisheries industry to learn about current and upcoming issues, explore new developments in culture technology and interact with others vested in the same cause.Euro Aqua 2019 will cover the new research system and focus on exhibition of new feeds, fish welfare, antibiotics, instruments introduced by the laboratories in accordance with its theme ingenious strategies towards sustainable aquaculture. It additionally covers the increase in the need for demanding sea food since agriculture alone cannot support the growing demand for food that comes with ever increasing population.The European Conference on Aquaculture and Fisheries offers a great platform for eminent researchers, academia, the industry professionals, government officials and other professional bodies from across the globe to converge and discuss their ideas.Sessions/ TracksAquacultureAquaculture, also known as fish farming, involves the growth, development and multiplication of flora and fauna which grow in aquatic environment. It is also involved in the production of seafood.Aquaculture is often hailed to be the fastest growing food-producing sector in the world at present. Farming of aquatic organisms including fish, molluscs, crustaceans and aquatic plants under controlled conditions define aquaculture. According to some experts, increasing demand for fresh fish has put a strain on natural populations which is inciting discussions around the world, hence Aquaculture 2019 is relevant. In practice, aquaculture comprises breeding, rearing, and harvesting of life forms, mainly animals and plants in freshwater or saltwater under controlled conditions - farming of all kinds of freshwater and marine species of fish, shellfish and plants.Fish FarmingFish farming involves raising fish commercially in tanks or enclosures like fish ponds, typically for food. It is the principal form of aquaculture. Demand is increasing for fish and fish protein, that has resulted in widespread overfishing in wild fisheries. Farming carnivorous fish, like salmon, doesn’t always reduce pressure on wild fisheries. Carnivorous farmed fish are typically fed fishmeal and fish oil extracted from wild forage fish. The 2008 global returns for fish farming recorded by the FAO totalled 33.8 million tonnes worth about $US 60 billion.Aquaculture NutritionFish need energy to maintain basic metabolic activities and to support health, growth, activity and reproduction. Proteins, carbohydrates and lipids (the macronutrients provide this energy and also essential nutrients.Fish require essential amino acid in proteins for growth, tissue repair, general health, and reproduction. Protein quality affects fish performance. Lipids are energy –dense and contain fatty acids (n-3 & n-6 types) and fat-soluble vitamins (A,D,E and K) that fish require for normal growth, health.Aquatic PathologyAquatic Pathology studies infectious diseases of cultivated and wild fin fish and shellfish, notably those caused by viruses and bacterium, so as to reveal infection mechanisms and develop effective management measures of the diseases. Diseases of fish and shellfish have an effect on each wild and cultivation populations, accounting several greenbacks of loss in work revenues and scheme services annually there are some fish diseases and infections which can be transmitted from fish to water in which they are transmitted to humans.Aquatic Pathology it includes: Fish pathology Host pathogen interactions Wild life pathology Diseases of aquatic molluscs Diseases of crustaceansAquatic PhysiologyAquatic physiology deals the morphology and function of the various parts of the organisms inhabiting the aquatic ecosystem, from marine to freshwater habitats, from single-celled organisms to mammals, and from functional genomics to functional morphology. The effect of environmental stress conditions on the aquatic inhabitants can be studied with the help of structural and physiological information obtained from this field of study.Fish Hatchery & StockingFish hatchery is a place for artificial breeding, hatching, and rearing through the early life stages of animals—finfish and shellfish in particular. Hatcheries produce larval and juvenile, shellfish and crustaceans, primarily to support the aquaculture industry wherever they’re transferred to on-growing systems, like fish farms, to reach harvest size. A few fish species that are usually brought up in hatcheries consists of Pacific oysters, shrimp, Indian prawns, salmon, tilapia and scallops.Fish stocking is the practice of raising fish in a hatchery and releasing them into a lake, river or the ocean to supplement existing populations, or to create a population where none exists. Stocking may be done for the benefit of economic, tribal fishing or recreational but may also be done to restore or increase a population of threatened or endangered fish in a body of water.AquaponicsAquaponics refers to any system that combines regularly aquaculture with hydroponics in a symbiotic environment. Aquaponics consists of two main elements, with the aquaculture part for raising aquatic animals and the hydroponics part for growing plants. In normal aquaculture, excretions from the animals being raised can accrue in the water, increasing toxicity. In an aquaponic, water from an aquaculture system is fed to a hydroponic system where the by-products are broken down by nitrifying bacteria initially into nitrites and subsequently into nitrates that are used by the plants as nutrients.Shrimp farmingShrimp farming is an aquaculture business that exists in either marine or freshwater environment, producing shrimp or prawns (crustaceans of the groups Caridea or Dendrobranchiata) for human consumption. Commercial marine shrimp farming began in the 1970s, and production grew steeply, particularly to match the market demands of the Western Europe, United State and Japan. Shrimp farming has changed from traditional small-scale businesses in Southeast Asia into a world industry. Technological advances have led to growing shrimp at ever higher densities, and broodstock is shipped global.Sustainable aquacultureSustainable aquaculture is a dynamic concept and the sustainability of an aquaculture system will vary with species, societal norms, location, technology and the state of knowledge.Several certification programs have made progress in defining key characteristics of sustainable aquaculture. Some essential practices include Environment practices, Community practices, and Sustainable business and farm management practices.Issues in Aquaculture Netting MaterialsVarious materials, including nylon, polyester, polypropylene (PP), polyethylene (PE), polyamide (PA), plastic-coated welded wire, rubber, patented rope products, galvanized steel and copper are used for netting in aquaculture fish enclosures around the world. The material strength of net panels made with PA, PP and PE gets reduced when exposed to sunlight (UV), wind, rain, acid rain, etc. Materials being soft may also be broken by crabs and fish with strong dentations leading to fish escape from the cage. By inhibiting microbial growth, copper alloy aquaculture cages avoid biofouling costly net changes that are necessary with other materials.Fisheries Biology & ManagementThe primary goal of Fisheries conservation is to revive fish populations that are eliminated due to pollution or habitat destruction. Fisheries management draws on fisheries science in order to identify ways to protect fishery resources so sustainable exploitation is possible. Modern fisheries management is frequently referred to as a governmental system of devote management rules based on defined objectives and a mix of management means to implement the rules, which are put in place by a system of monitoring control and observation.Fish PathologyIt deals with the diseases and disease causing agents that effects fish normal living. Fish Pathology studies fish defensive mechanism against diseases and its treatment. Fish pathology is frequently covered host pathogen relationships, fish pathogens, pathophysiology, diagnostic ways epidemiology and descriptions of new diseases and it provides us knowledge about the disease and problem caused in humans who feed on seafood along with its curefish suffer from parasites and diseases like humans and other animals. Fish defences against disease are1.specific: specific defences are particular pathogens recognises by the fish’s body , in recent years fish vaccines are widely using In aquaculture 2.non-specific:non-specific defences include skin and scales as well as the mucus layer secreted by the epidermis that traps the pathogens and inhibits their growth.Aquaculture EngineeringAquaculture engineering is a specialized field of engineering that aims to solve technical problem associated with aquatic farming, invertebrates, vertebrates and algae. Aquaculture technology is varied with design and development requiring knowledge of biological, mechanical and environmental systems along with material engineering and instrumentation. Aquacultural engineering has played a role in the development of the aquaculture industry, which now accounts for half of all seafood products consumed in the global. To find the effective solutions the discipline is combined with both fish physiology and business economics knowledge.MaricultureMariculture is a specific branch of aquaculture involving the cultivation of marine organisms for food and other products enclosed section of the ocean, an in the open ocean or in ponds, tanks or raceways which are filled with seawater. An example is farming of marine fish, including finfish and shellfish like prawns, or oysters and seaweed in saltwater ponds. Non-food products produced by mariculture include: nutrient agar, jewellery (e.g. cultured pearls), fish meal and cosmetics.Types of Mari culture:1 Alga culture2.Tank farming3. Seawater ponds4.Sea Cage farmingShellfish FisheriesFisheries event explain about the shellfish fisheries. Fish have always been vital to Maine’s economy and survival. Native people, European explorers, settlers, and Mainers today have depended on marine life for food and trade. Maine fishermen catch a wide range of fish, sea animals and other shellfish for a broad market. The aim of organizing fisheries conference is to produce exposure to technologies relating to the trends in fisheries and aquaculture. Today’s fishermen in the Gulf of Maine frequently sell their catch at the Portland fish exchange, where buyers purchase fish at daily auction. Fisheries today include haddock, halibut, flounder, hake, and Pollock. Seasonally, fishermen also harvest clams, mussels, scallops, oysters, shrimp, alewives, herring, mackerel, and tuna. Oysters, mussels and salmon are usually raised in aquaculture facilities along the coast. Recreational fishermen pursue striped mackerel, shad, bluefish, bass, and smelt.Freshwater and Marine/AquacultureFreshwater culture is understood the cultivation of aquatic organisms where the end product is raised in freshwater, like’s reservoirs, rivers, lakes, canals and groundwater, in which the salinity does not normally exceed 0.5at earlier stages of the life cycle of these aquatic organisms may be spent in brackish or marine waters. Marine aquaculture refers to the rearing, breeding and harvesting of aquatic plants and animals. It can take place on land in tanks, or the Oceans and ponds. U.S. marine aquaculture produces primarily oysters, clams, mussels, shrimp, salmon, and the marine fish.Aquatic EcologyEcology is the scientific study of how organisms interact with one another and with their environment. This includes relationships between individuals of the equivalent species, between completely different species, and between organisms and their physical and chemical environments. Aquatic ecology includes the study of these relationships in all aquatic environments, including estuaries, oceans, lakes, wetlands, ponds, rivers, and streams. The boundaries of an Aquatic ecosystem are somewhat arbitrary, but however usually enclose a system in which inflows and outflows can be estimated. Ecosystem ecologists study how nutrients, water and energy flow through an ecosystem. Different Aquatic Ecosystems are of Marine, Lentic, Ponds, Lotic, and Wetlands.Aquatic Plant farmingA method of cultivating aquatic plants in water comprises of aquatic plant farming. Such plants are fundamental to a healthy aquatic ecosystem. They can act as a source of sustenance for fishes and also provide oxygen. Floating aquatic plants shut out sunlight from reaching the rest of the water column which in turn limits the growth of other aquatic plants and can also regulate the amount of oxygen so that the fish can breathe.Disease management in aquacultureIntensively shellfish and cultured fish are naturally susceptible to fungal, bacterial parasitic infections, particularly at times of stress. Many problems can be avoided by appropriately quarantining new stock before release into ponds, or culture tanks maintaining water quality and a stress free environment and regular disease monitoring of stock. In the event of disease outbreak, stock can sometimes be effectively treated by Freshwater or salt baths, or via veterinarian prescribed treatments.Aquaculture laws & RegulationsDeveloping and implementing policies that enable marine aquaculture and works to ensure that aquaculture complies with existing federal laws and regulations are a very essential step in the field of aquaculture. Such policies and regulations ensure environmental protection, water quality, food safety, increase efficiency, transparency, and predictability in making permit decisions and protection of public health.Fisheries ManagementTypically, management is directed at maintaining a stock size that gives the maximum sustainable yield (or catch) through various management regulations (e.g. total allowable catch [TAC], number of boats in the fishery, etc.) aimed at controlling, either directly or indirectly, the level of fishing mortality. Fishing management involves not only direct regulations, but also management of access rights, influencing of fisher’s attitudes toward the resources and other broader issues. The scope of fisheries management has widened in recent years to consider aspects beyond size of the fishery resource, implying an ecosystem approach. • Control fishing mortality• Sink for fish eggs and larvae to improve recruitment• Food web integrity and biodiversity• Management of harvested species• Hedge against uncertaintyOceanography Fisheries oceanography can be broadly defined as study of the interaction between marine fish and their environments across multiple life-history stages. Traditional fisheries management approaches estimate population abundance levels as a function of the number of spawning adults without environmental or ecological input, but the field of fisheries oceanography has provided a framework to predict recruitment and define harvest strategies within an ecosystem context. By seeking to elucidate mechanistic relationships between fish species and their surrounding oceanic habitats, the field of fisheries oceanography aims to provide a solid understanding of fish behaviour, population dynamics, and life history with an ecosystem perspective.